Are you or will you be a recent masters or phd graduate from The New School by December 2017? 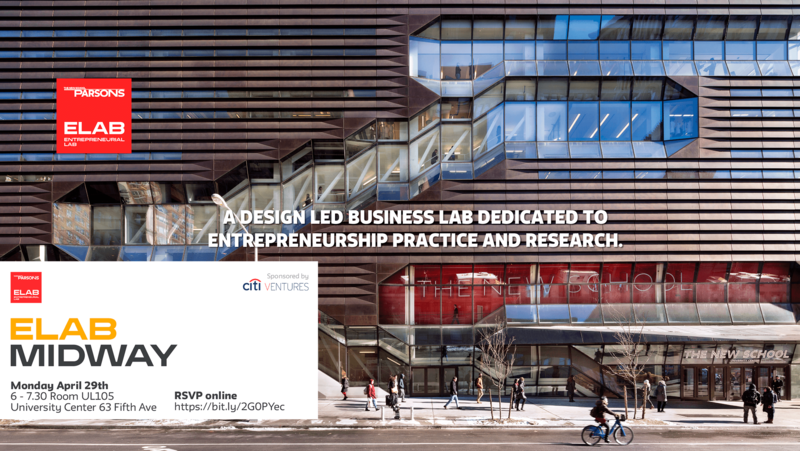 Parsons ELab is looking for entrepreneurs interested in taking the next step in launching their business! Our 12month incubator program is committed to supporting promising startups. Get all of your questions answered at our Info Session! Our Fellows will also be in attendance to talk about their experience with the program.